What happens when a deadbeat’s murdered body is discovered by his long-suffering wife and her oldest friend? The women face a dilemma like no other as they deal with the dark underpinnings of their relationship and each woman’s deep suspicion that the other is the killer. 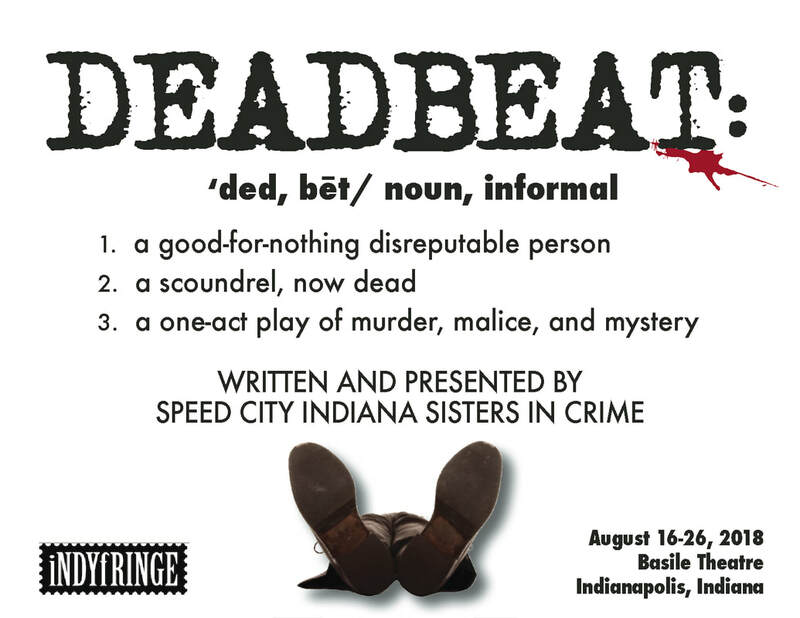 The One Act play DEADBEAT (written and produced by Speed City Sisters in Crime mystery writers) made its debut at the 2018 Indy Fringe Play Festival on August 16, 2018 and was a popular event of the festival, with full seats throughout its six performances, including one sold out night. Under the skilled direction of Deborah Asante, founder and Artistic Director of the Asante Children’s Theatre, DEADBEAT made a strong transition from the page to the stage. Described as a “one act play of murder, malice and mystery” with a touch of humor, audiences experienced a myriad of emotions as the talented cast infuse layers of nuance into their characters. 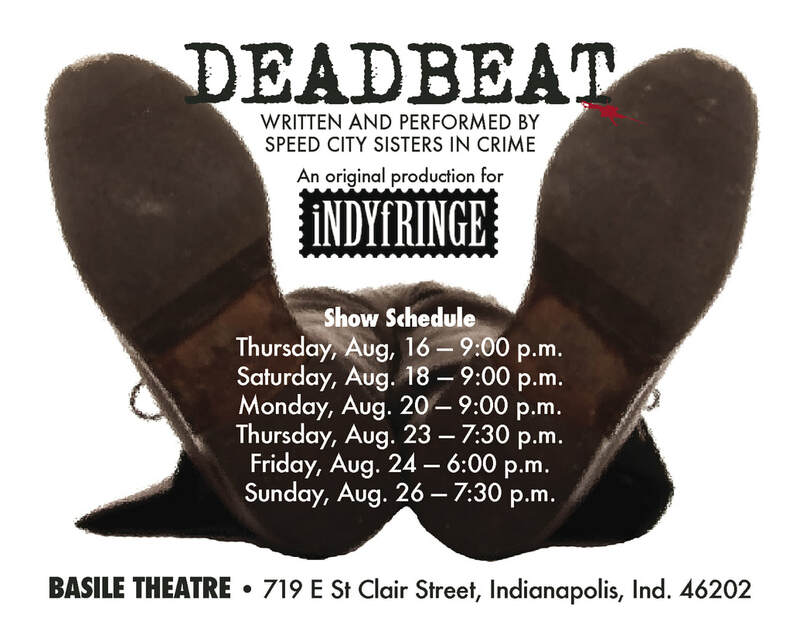 The experienced cast of local actors at the IndyFringe performances included Gabrielle Patterson (Abigail), Alicia Simms (Celeste) and Zach Hyatt (Matt).